I often travel the road that leads by the Mt. 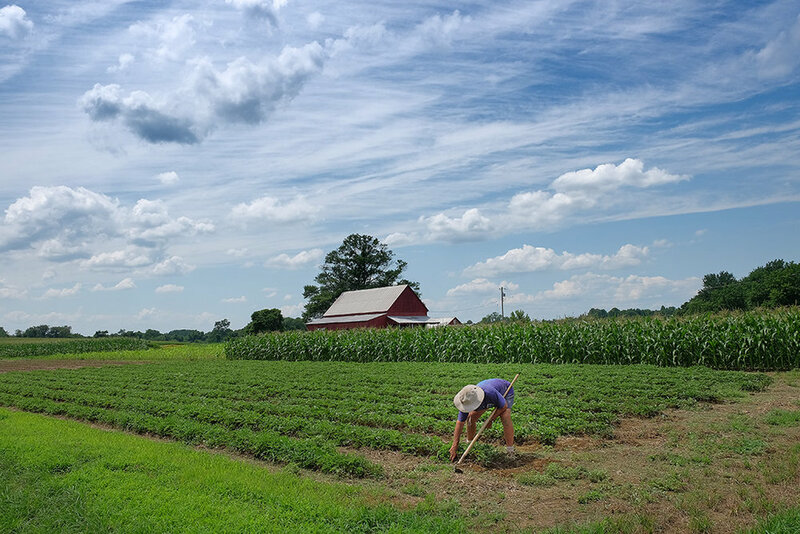 Airy farm in Davidsonville, Maryland. On this particular day, unlike most other times, I saw a man working in the field. There were these beautiful cloudscapes and the midday sun was really saturating the landscape. I pulled off of Rt 424 in Davidsonville, parked the car and headed across the field to snap a few pictures with my Fuji xT-10. Here are a few of those shots.